Pop may reign supreme today but nothing beats classical music when it comes to longevity. 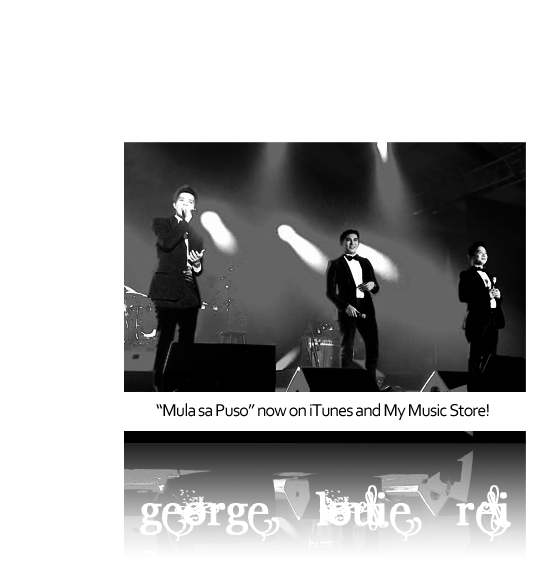 And with The Angelos, an all-Filipino tenor group, this age-old genre gets a refreshing twist that even younger generations can enjoy. 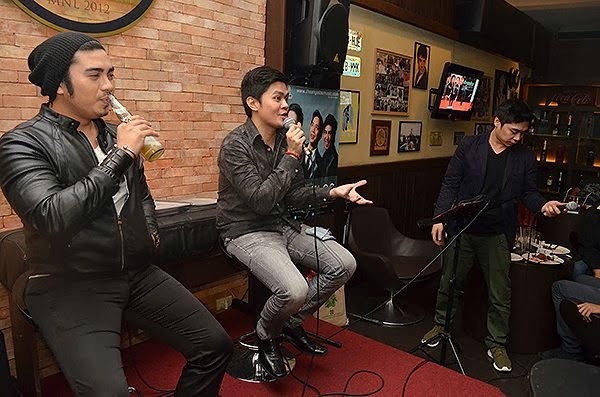 The classical pop trio is composed of George Sison-Tagle (the group’s founder), John Louie Abaigar and Rei Paolo Libiran. 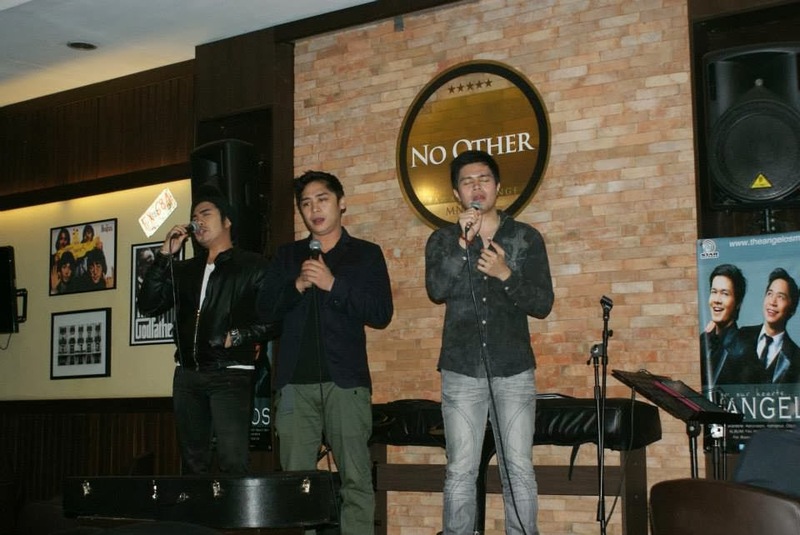 George formed the group with their mentor, Director Freddie Santos, back in 2007. 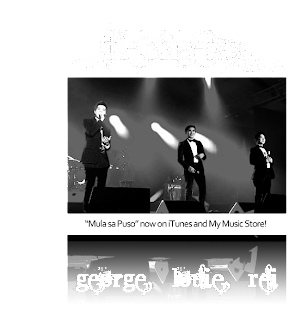 The name of the group, was also emerging , making the “voice of angels” a popular phrase to describe the group. Truly like being in clouds, mesmerized by these angels. 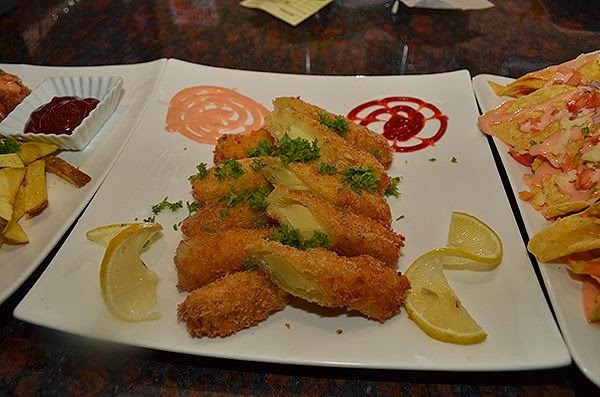 I think there is "No Other"
Atmosphere is nice, matched with pretty good food. because we have these guys with us. ZipMatch.com is the first comprehensive online community of sellers, developers, brokers, and buyers in the Philippines. ZipMatch offers everything to make your home purchase easy, from finding the right property and broker to tips on how to make money from real estate investment. For more information, visit www.zipmatch.com. Introducing ZipMatch.com, the only site that will help you find and buy the best property anywhere in the Philippines with ease. With the goal of streamlining the tedious process of acquiring real estate in the country, you are assured of fast, convenient, and efficient service all the time with ZipMatch.com. “We provide a sophisticated matching system to help licensed real estate brokers connect directly with homebuyers and sellers, or with other brokers they’d like to do business with. This works quite differently from traditional classified ads, as our matching is based on a potential homebuyer’s specific preferences and requirements,” says John Dang, ZipMatch.com’s president and CEO. ZipMatch.com also recognizes the value of property buyers’ time. This is why the website ensures that all its listings are carefully verified to eliminate the risk of potential buyers inquiring for the same property twice, making transaction more efficient and less time consuming. 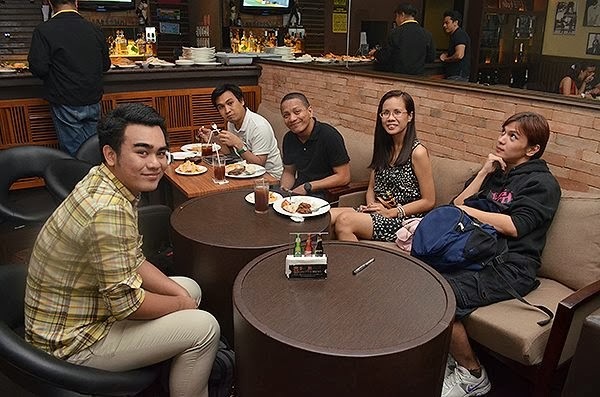 “Through our web-based marketing and sales solution, ZipMatch.com, aims to become the Philippines’ foremost online community of real estate brokers, developers, and homebuyers,” ends Chow Paredes, ZipMatch’s Head of Sales. Map ViewYou can now check out our listings in Google Earth, giving you a bird’s eye view on the properties available out there and where they are located. It also shows the nearby shopping and dining establishments, schools, churches, hospitals, and banks. News PageUsers can stay on top of Philippine real estate with our better and more comprehensive News & Advice section. Read everything, from smart how-to guides to expert insights and opinions. Great Listings LayoutWe offer a listings site with better layout. This means better user experience, ensuring that homebuyers are assured a pleasant search. Address AutosuggestionNo need to type in everything. Our smart Address Autosuggestion predicts your preferences based on a just a few characters. Great Search ResultsAs we always strive hard to making house hunting fast and easy, our improved Search Results ensure that you get every property that falls within your preferences. 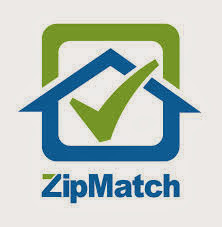 Now, with great convenience brought by ZipMatch.com, you don’t need to sift through hundreds or even thousands of listings, much of them duplicated. This smart website ensures that your home search will be fast, convenient, and, most importantly, risk-free. Google has changed the dimensions on the Google+ profile covers. You may want to check yours and see what needs to be done to correct it. Setting your Google profile photo helps your friends and family find and identify you in Google+. Your profile photo shows up whenever you interact with someone, so pick a photo that really represents you. Sign in to Google+. Place your cursor in the top left corner for the Google+ main menu and then click Profile. Hover your cursor over your current profile picture, then click in the center. Upload a new photo, choose one from your albums, or take a new picture. Crop and edit your photo. Learn to edit Photos. Click Set as profile photo when you're done. Any new profile photo you upload from your computer will also be saved in your public "Profile photos" album and can be accessed from "Albums." Your cover photo is the large photo featured at the top of your profile. You can use it to showcase your personality by displaying a recent travel photo, your best friends, or something else special to you. Hover your cursor over your cover photo and click Change cover. Upload a new photo, choose one from your albums, or select from options in the gallery. Click Select cover photo when you're done. Just sharing what I got from rappler. and other online resource. Help me spread the message. 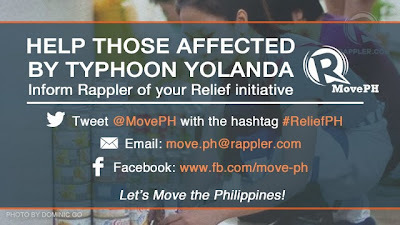 For corrections or edits, please email: move.ph@rappler.com or make a comment in the comments page. Repacking of relief goods ongoing at DSWD-NROC, Pasay City. Interested volunteers can call 9318101 to schedule. DSWD Region 7 Field Office, MJ Cuenco Avenue Cor Gen Maxillom Ave, Brgy. Carreta, Cebu City is conducting ongoing relief operations. Contact Rico Algarme at (32) 232 9509 for inquiries. The Office of Senator Bam Aquino, Extension Room 23, 5/F Senate of the Philippines, GSIS Financial Complex, Pasay City, is accepting donations Monday to Thursday from 9am - 6pm. Contact Mr. Ares Goyena at (0917)621-6311. Account name - Philippine Daily Inquirer Inc. Contact Bianca Casilag or Connie Kalagayan at 897-8808 or 899-4426. All LBC branches are accepting donations for typhoon Yolanda victims until November 30. 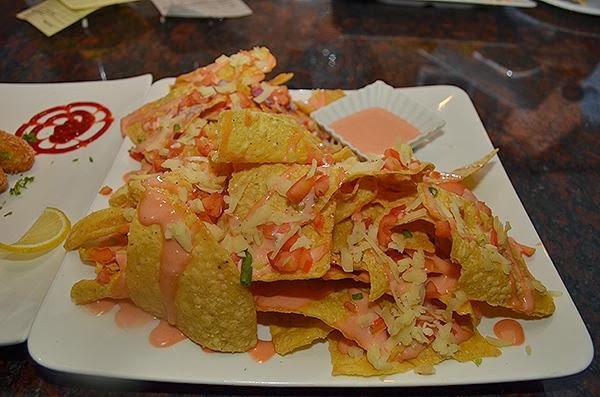 All Pizza Hut and Taco Bell stoes (Pizza Hut, Taco Bell, Dairy Queen) are accpeting cash donations or through the purchase of eco bags worth P50 each. For Peso donations: BPI S/A #0053-2762-53. Magsaysay, together with its corporate social responsibility arm, is accepting donations in cash and in kind. All McDonald's stores in the National Capital Region are accepting donations in kind. Collected donations will be packed and distributed through the Ronald McDonald House Charities (RMHC) Bigay Tulong Program and ABS-CBN Sagip Kapamilya. - Account Name: Spark Machine Innovations Inc.
AirAsia Zest is accepting donations for the victims of Super Typhoon Yolanda and is also offering free round-trip seats to all NGOs and agencies accredited by the National Disaster Council. - For more information, please call +632-851-1801/632-851-1803 or proceed to AirAsia Zest Cargo in Domestic Road, Andrews Avenue, Pasay City. - For more information, please call +632-851-1801/632-851-1803 and look for Cecille Flores or proceed to AirAsia Zest Office in Domestic Road, Andrews Avenue, Pasay City. Government agencies, private organizations and NGOs engaged in relief operations can avail of free shipment of relief goods on board SuperCat from the Port of Cebu to the Port of Ormoc three times daily and on board a bigger 2GO ship twice a week. The relief goods should be brought and registered at the 2GO Relief Drop Off Center at the Pier 4 passenger terminal. The officials of 2GO are however reminding donors to arrange first the presence of people who will receive the relief goods once these arrive in Ormoc. Donors are encouraged to fax the deposit slips to Metrobank Foundation at 818-5656 or 750-0837 or email scanned copy to foundation@metrobank.com.ph. They are also waiving service fees for international donations. For further inquiries, you may contact Ms. Marievic Mariano atmgmariano@metrobank.com.ph or at telephone number (02) 857-5525. For the Ayala Foundation's 'Laging Handa Fund', overseas donors can use this online portal for donations. ShelterBox is an international disaster relief charity that provides emergency shelter and life-saving supplies to families around the world who are affected by disasters. Donations are welcome through its website. Know more about their efforts in the Philippines for victims of typhoon Yolanda (international codename Haiyan) here. De La Salle University's Center for Social Concern and Action (COSCA) is accepting web-based donations from overseas individuals via GlobalGiving.com. Credit and debit card donations accepted. Contact Joseph Rosal, Coordinator for Community Engagement, COSCA at 525-4267 or local 147 for more information. The School of Saint Anthony is accepting donations through its website. Call Ava Ann Semorlan at 417-8565 loc 116 or 09228127601 for inquiries. ANCOP USA Foundation for international donations through this website. Aboitiz Foundation Command Center is accpeting cash donations through the Aboitiz Foundation’sUShare portal. Contact Danny Cerence at (0917)630-8172 for inquiries. Contact Rowena Astillo at (0917)630-4484 for inquiries. United States residents can make tax-deductable donations through the US Philippines Society. The Olahay Family from Sweden started an online fundraiser to help recover the homes of the children of San Roque, Tanauan, Leyte. You may support their campaign here. The Co-operative Development Foundation of Canada is appealing to members of credit unions and co-operatives across Canada for financial support to aid victims of Super Typhoon Haiyan. Donations can be made online or by mail to the Co-operative Development Foundation of Canada, 275 Bank Street, Suite 400, Ottawa, Ontario, K2P 2L6. Please indicate that your donation is designated for the Philippines Flood Relief Fund. Tax receipts will be issued for donations over $10. Michael Genove and other overseas Filipino workers in Singapore are holding a relief drive for victims of Typhoon Yolanda. They have donation boxes prepared at 52 Choa Chu Kang North 7 Regent Grove Tower B1, nearest MRT is Yew Tee. Michael may be contacted at +65 81281590. Give2Asia, a US-based social enterprise that serves as a catalyst for philanthropic investment in Asia, is collecting funds online for the Typhoon Yolanda victims. More details can be found on theirwebsite. Thresher Shark Divers is accepting donations To help the victims of the recent typhoon on Malapascua Island through a fundraising website. 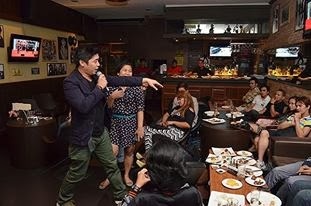 Groupon Philippines is accepting donations through its website. Manila Surfers is conducting relief operations for Typhoon Yolanda victims in Guian, Eastern Samar. The list of drop off points can be seen here. Dalaw Kalinga, a non-profit organization duly registered and recognized by the Government, will be conducting medical mission and relief operations for the victims of the super typhoon. More details can be found in their website. Go to www.ccf.org.ph/give Select "Others" for Gift Recipient, and indicate "Yolanda Relief Funds" in the Comments. Forward the confirmation email to jemiareyes@gmail.com for tracking purposes. The Philippine National Police has activated a Relief Center at the PNP Gymnasium in Camp Crame, EDSA, Quezon City. Donated items are processed and repacked in the Center prior to shipment to DSWD relief depots in the disaster areas. Donors may contact Chief Inspector Christine Bagundol or PO1 Alwin Lumsac of the Police Community Relations Group (PCRG) thru mobile numbers 0928-5242472 or 09077215740. Account name: Health Futures Foundation, Inc.
Volunteer to be part of the Sagip Samar Medical Team. Online donations are accepted throught its website. For US donors, you may donate throught the Feed The Hungry donation page. 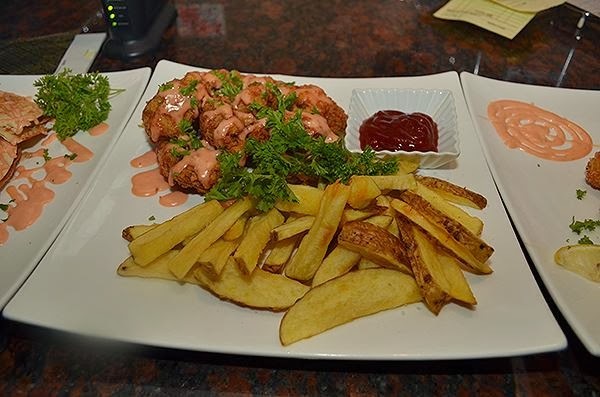 Kindly indicate in the comments section of the Feed the Hungry donation page that the beneficiary is Health Futures Foundation, Inc-Sagip Samar. Your donations will be tax-deductible. Tulong Kabataan: UP System, UP Office of the Student Regent are accepting donations in cash or kind. Dropoff point: Vinzon's Hall, UP Diliman, Quezon City. Contact Eds (0927)384-1392 or Zie (0916)796-5740) for more information. Citizen's Disaster Response Center is calling for donations and volunteer's at 72-A Times St., West Triangle Homes, Quezon City. Call 929-9820 for inquiries. Rock Ed Philippines is focusing on donations of new underwear for victims of typhoon Yolanda. 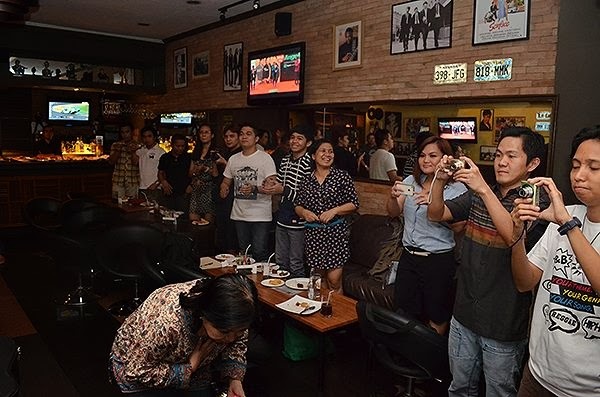 Drop off point is at Route 196 Bar along Katipunan Avenue, Quezon City. You may also deposit cash to BPI account# 3080-0073-44 of Rock Ed Phillipines. Tweet @gangbadoy for more details. 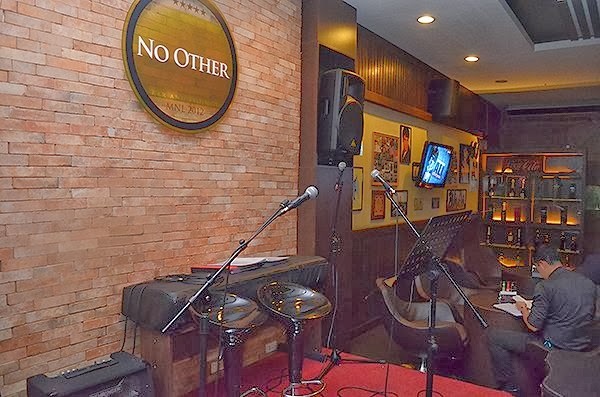 Paref Northfield is accepting donations both in kind or in cash especially for those around the Tomas Morato area. Goods may be dropped off at Sct. Gandia corner Sct. Torillo, Brgy. Sacred Heart, QC. Contact r. Raul Arenas (Head-Northfield OSA) at 929-5615. Donations will be redirected to UA&P HOPES Relief Operations for deployment. Account Name: Make Your Nanay Proud Foundation Inc.
Bank branch: Tomas Morato corner Kamuning Road. For donations to be acknowledged, fax the bank tranbsaction slip to (02) 4135868 or e-mail it tomakeyournanayproud@yahoo.com with your name, address, and contact number. Oplan Kaagapay/NOYLeads, Junior Chamber International Philippines (Philippine Jaycees) is accepting donations at 14 Don A. Roces Avenue, Quezon City. Contact Ismael Penado at 749-9399 for inquiries. The Center for Disaster Preparedness is accepting any kind of donations for the victims of TS Yolanda and Visayas' earthquake. Donations may be dropped off at the Center for Disaster Preparedness Foundation Inc. CSWCD bldg., R Magsaysay Ave. UP Campus, Diliman, Quezon City. You may also call 926 6996, 928 7285. Please contact Althea Perez (09178388432) and Tina Arroyo (09064449166) for more details. The Philippine Atheists and Agnostics Society is calling for donations in cash or in kind at Imacron Building, 115 Kamuning road, Quezon City from 10am to 4pm. Donations will be forwarded to GMA Kapuso Foundation. Contact Tess at (0922)829-7708. Megawide Foundation and Megawide Construction Corporation is calling for donations in kind (non-perishable food, water, medicine, beddings, toiletries, etc) at the Megawide Office building, 20 N. Domingo St. Bgy. Valencia, Quezon City until November 15 from 9am to 7:30pm. Contact Anna Salgado at (0917)563-7629 for more details. Drop off points are at the building lobby. Alliance of Concerned Teachers Relief Operations is accepting donations in cash or in kind atTeachers Center Building (ACT/QCPSTA office) at Mines st. corner Dipolog st. Bgy. Vasra, Quezon City. Contact Zenni at 426-2238 or (0917)499-8608 or Kris at 539-116 or (0915)571-9601 for inquiries. The Butterfly Project, a youth-oriented initiative is accepting donations at Moonleaf Katipunan, UP CMC, and Diliman Gender Office. E-mail butterflyproject.ph@gmail.co for inquiries. Goods will be distributed in Tacloban through DSWD in cooperation with the Office of Senator Bam Aquino. Akbayan Partylist, through its #Akbayanihan Relief Drive, is accpeting donations at Akbayan's national office at 36B Madasalin Street, Sikatuna Village, Quezon City. Cash donations can be deposited directly to Akbayan Citizen's Action Party, Bank of the Philippines Islands (BPI), Kalayaan branch 1991 0086 55. E-mail the validated deposit slip to media.info@akbayan.org or fax it to (02) 433-6831. Contact (02) 433-6933 or (02) 433-6831 for inquiries. Volunteers are also welcome. To volunteer, get in touch with Dondon Chan at 09178350342. Volunteers needed are medical volunteers such as doctors, nurses, medical students or any other medical giver and all-around volunteers ready to travel (by air or sea) and stay for at least a week in areas severely affected such as Region 7 (Daang Bantay and Bantayan) and Region 8 (Tacloban, Palo, Ormoc, Dulag, Tolosa, Guiuan, etc. Account Name: Community of the Resurrected Christ International, Inc. The Climate Change Commission is accepting donations at its office at the LPLP Bldg in Malacanang. Medicines are preferred. Contact Chat or Lei at 735-3144 & 735-3069 for inquiries. St. Scholastica's College is accepting donations (cash or in kind). You may drop off the donations at 2560 Leon Guinto St., Manila, located behind DLS-College of St. Benilde. For cash donation, you may look for Sr. Selene or Dr. Rebecca Cacho. For donations through check or deposit, account name is St. Scholastica's College Manila, BDO account number 4580-000-210. If the donor is not based in Manila, inform the BDO manager that the deposit is for relief operations and have your fees waived. You may then email your transaction receipts to lizaban2@gmail.com for proper acknowledgment. UP Ugnayan ng Pahinungod-Manila is organizing a university disaster response medical mission to Leyte with plans of relief distribution focused on Palo, Leyte. Contact Dr. Lulin Luz starting November 11, Monday (landline: 526-6950 and 526-6951) for inquiries and donations. In need of donations particularly medical supplies and volunteer MD's, nurses, and health care personnel and volunteers for packing of relief goods. BPI Acct Name: Sorok Uni Foundation Inc. Contact Ms. Bernadette or Ms. Grace at 025775999/ 09175921724 for more informtion. Their facebook account can be accessed here. The MVP Tulong Kapatid Center will be open today from 9AM to 5PM to accept cash and relief goods at the Meralco Covered Tennis Court, Meralco Compound, Ortigas, Pasig City. Contact Eds Addun at (0939)913-3771 or 632-8301 for more details. The University of Asia and the Pacific is accepting donations (both in cash and in kind) for Typhoon Yolanda victims. Drop off point is at the Pearl Drive entrance of the school. For further information contact Erika Ng at 09175598862 or e-mail her at erica.ng20@gmail.com. Cash donations are also accepted through UA&P H.O.P.E.S. Relief Operations (http://go.uap.asia/donate) or through BPI Account No. 3993-0387-75 (Business Economics Association BEA). Email deposit slip to bea@uap.asia. For more information contact 09177176212. Visit http://go.uap.asia/yolanda for more information on their relief operations. Christ's Commission Fellowship (CCF) is accepting donations at the CCF Center, Frontera Verde, Ortigas Avenue corner C5 Road, Pasig City. E-mail info@ccf.org.ph for inquiries. Greenhills Christian Fellowship at Ruby corner Garnet Roads, Ortigas Center, Pasig City is accepting donations in cash only. Donations may be dropped off at their help/info desk and must be clearly labeled for the victims of Typhoon Yolanda. Victory Church Fellowship at LGF Every Nation Building 32nd St. Corner University Parkway, Bonifacio Global City is now accepting relief goods. U! 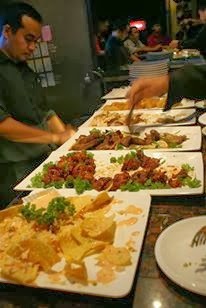 Happy Events is accepting donations at URBN Bar and Kitchen in the Fort Strip, Bonifacio Global City. Contact Harvard Uy de Baron at (0917)887-4278 for more details. St. Michael's Church at The Fort is accepting donations through Father Arnold. Water and food are badly needed. The church addesss is at 39th Street, North Bonifacio Triangle, Bonifacio Global City. Hands on Manila need volunteers who will pack relief goods for Typhoon Yolanda survivors at the Army Gym in Taguig. The map can be found here. The United Football League (UFL) has initiated a collection drive for donations (in-kind only) for the victims of Typhoon Yolanda. Donors may drop-off their donations during UFL matches everyTuesday and Thursday at Emperador Stadium, McKinley Hill, Taguig City. 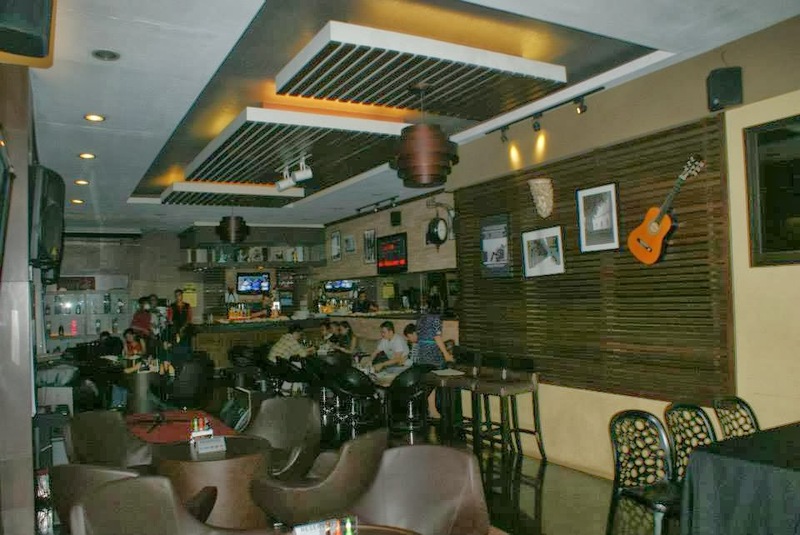 Basty's Bar, Ground floor Net Quad Building, 30th st. for 4th Ave, Bonifacio Global City, Taguig. Contact Alaine Salvanera at (0932) 8921206 for more details. The Dream Project Philippines is accepting donations at the RFM Corporate Center, Pioneer cor. Sheridan Street, Mandaluyong City. Contact Prim Paypon at 09088100424. Eulogio Rodriguez Integrated School Relief Operation by the RCY Council / ERISIAN Family, is accepting donations in cash or in kind at I.Lopez , Hagdan Bato, Mandaluyong City. Donations may be dropped off at the school gate. Call Ana Christina A. Sison at 9174181991 or email sacred_ana@yahoo.com for more details. Samboy Lim Personalized Training (basketball camp) will be accepting donations at Dumlao Gym in Mandaluyong City on November 17 from 7:30am to 12nn. Contact Anna/Claire Vendicacion at5317554/09166989489 for inquiries. The Palladium, Ateneo Law School's official publication, is accepting donations for quake and Typhoon Yolanda victims in the Visayas. Drop your donations at The Palladium PubRoom, 3/F Ateneo Professional Schools, Rockwell, Makati City. For more information, contact Abe Guinigundo at 09162504430. The Lyceum College of Law is collecting relief goods at the LPU Law Student Government Office, Lyceum College of Law 109 L.P. Leviste Street, Salcedo Village Makati City. For further inquiries, please contact Fudge Tajar at 0915 3422304. Bank Account Name: P&A Foundation, Inc.
Makati Speakeasy is an official drop off point for relief effort going directly to Tacloban, City. Goods will be shipped into the area every 2 days. Drop of relief goods such as water, canned food, can openers, instant noodles, rice, towels floor mats, medicine, hygiene products, baby formula, and bread at Makati Speaakeasy in Alphaland Makati Place, Ground Floor, 1200 Makati (In front of the fire station). Contact Gene Mok (0917)597-0047 Gene Mok for inquiries. BenLife is accepting donations of food, medicines, clothes and blankets, and hygiene products at their head office at 166 Salcedo St. Legaspi Village, Makati. Call Direct line: 818-8311 for more details. For Globe: (0917)833-4856 / (0917) 516-5588 , Sun (0922)866-5588 and Smart (0999) 887-0489 / (0999) 886-1709. PAUSE for the victims of Yolanda, P&A For A Cause is accepting donations until November 13 at 19th, 20th and 23rd Floor, Tower 1 The Enterprise Center, Ayala Avenue, Makati City. Cash donations cash may be deposited to Account Name: P&A Foundation, Inc. Account Number: 096-3-09652319-0. Contact Yusoph Maute (0923)450-1004 (0917)579-3177 for inquiries or check theirFacebook Page for more details. The Global City Innovative College is accepting donations at the Office of Student Affairs, PET PLans Tower Annex, 444 EDSA Makati City. For inquiries, call 882-4242/666-8881. iACADEMY through the Central Student Organization and iACADEMY Alumni Association is accepting donations in cash and in kind for the victims of Super Typhoon Yolanda. Drop-off point is at the 3rd to 5th floors of iACADEMY Building, 6764 Ayala Avenue, Makati City. Contact Ms. Dorothy Fronteras (OSAS Manager); Ms. Barbara Celis (Alumni Affairs Manager) at 889 7777 local 341 and 411 for inquiries. Account Name: iACADEMY Alumni Association Inc. The Rotary Club of Marikina East is accepting donations at 19 F. Manalo St., Nangka, Marikina City. Contact Gen (09178167467), Honey (0917768 0030) or Clarissa (09279231734) for inquiries. The City Social Welfare and Development Office of Marikina City is accepting donations at the Social Service Center Bldg. near Marikina City Hall. Contact 369-4132 for inquiries. The Association of Social and Health Development Advocates, Inc. (ASHDA) is accepting cash donations to puchase medicines and deploy a medical team to Coron, Palawan. Contact John Messiah Dela Cruz (ashda.org@gmail.com) for inquiries. Account name: ASSOCIATION OF SOCIAL AND HEALTH DEVELOPMENT ADVOCATES INC. The Red Cross Marikina Chapter is accpeting donations at #240 Old Puericulture Bldg. cor. V. Gomez St., Brgy. San Roque (just near Our Lady of the Abandoned Church). Contact 681-7483 for inquiries. Dakila's Ride and Rock Relief is calling on artists, cyclicts, donors, and individuals willing to donate their talent, time, and relief goods on November 10, 9am to 4pm at My Little Arts Place, 222 Wilson St., San Juan City, Metro Manila. For inquiries call 435-4309. Send a scanned copy of the deposit slip to lesacasr@dlszobel.edu.ph orjacintojn@dlszobel.edu.ph for proper acknowledgment. Account Name: Philippines General Council of the Assemblies of God, Inc.
Southville Foreign University Donation Drive organized by the Southville Foreign University Student Council and SFU Rotaract Club at Lima Street corner Luxembourg, BF International Las Pinas City is calling for donations and volunteers. Contact Alden Lagrosa at (0915)529-9525 or apalagrosa@sfu.edu.ph. Task Force Yolanda is collecting donations at various points in Metro Manila for the affected residents at Daanbantayan, Bantayan Island, and Capiz. Relief for Coron, Palawan will be accepting donations at 256 Cabaillas St., La Paz, Makati City OR 1206 Jollibee Plaza Ortigas Center, Pasig City. Cash donations can be deposited to "Municipal Government of Coron- Trust Fund" Landbank of the Phlippines - Coron, Account # 1942-1015-34. 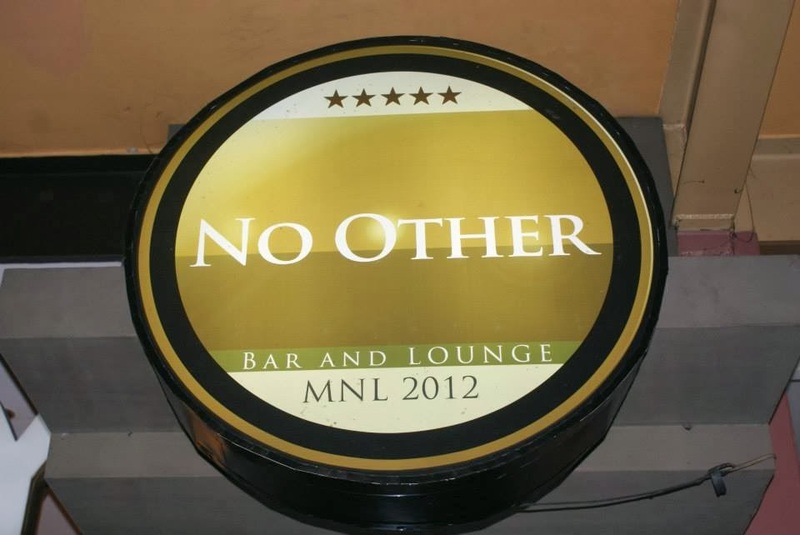 Contact Jovie Galan (makati) at (0927)489-1903 of Rica Reyes (pasig) (0917)853-5832. The relief goods gathered in Manila will be sent to Coron via chartered planes and ships. Sta. Maria Katipuneros is organizing Ride for a Cause Donation Drive for the victims of Typhoon Yolanda on Sunday, November 17 from 6:00-8:00am at the Caypombo Municipal Hall, Sta. Maria, Bulacan. Isla Verde in Batangas is also in need of donation. Drop-off point is at Meralco Site, Kumintang, Ilaya. Brgy Captain Arnold E. Briton will bring the goods to the barangay-island through a boat. Contact Briton at 0910-884-3334. Operation Walang Iwanan of UP Gawad Kalinga - Los Baños & UPLB USC are accepting donations of relief packages and cash. Contact Cyril (0926)341-9140 or Rohanne (0915)449-0589 for inquiries. The College of Arts and Science Student Council and PILAK of Malayan Colleges Laguna will be accepting donations in kind at the 2nd Floor Faculty Center located at J.P. Rizal Building starting Monday, November 10. Groups and individuals may contact Zk Guevarra at 09064339097, Anne Ramsey at 09069364858, or Paeng Palis at 09175747341 for more details. Everyday Fryday is accepting donations at the Plaza Pacita, Pacita Complex (right in front of the tricycle terminal). Pansit Malabon Express is also accpeting donations at Racco Commercial Bldg, Rosario Complex (right in front of 7-11). Contact Nica (09173003104) for inquiries. UP PALARIS CONFRATERNITY - Diliman Baguio Los Baños is having a relief drive this week for the victims of typhoon Yolanda. For those who are in or near Dagupan City, Pangasinan, please feel free to bring/send your donations to Kingfisher School Of Business And Finance Lucao, Pangasinanand look for Marudge Bravo. We encourage everyone to donate the following items: Drinking water, food (ready to eat packs/easy open cans), clothes/banig/towels/kumot, toiletries (soap/toothrbush/toothpast/sanitary napkins), medicine/vitamins, toys. We will be accepting donations from November 12 to November 16. For non-members, we will only be accepting donations in kind. If you want to send cash donations, please course it thru your relatives here in the province so that they may be to ones to purchase the items needed. Let's do our share! The Quezon Reels People's Media and the Guni-Guri Collective is accepting donations at the Quezon Reels office at Aranilla Compound, Ibabang Dupay, Lucena City near SM City Lucena. Theycan arrange meet-ups around Lucena City, Pagbilao, Lucban and Tayabas areas until Friday (Nov 15) to pickup your donations. For inquiries and meet-ups, contact Ms Lans Tolda at 09984630718. Donations will be delivered to Leyte on Friday thru the LGU. YUPPIES Care Ministries of the Grace Baptist Church of Cebu City, Inc. is accepting donations at the 628B Happy Valley Road, Guadalupe. Contact Jaspher Obiña at 09231500219, 09183484294, or 09177149679 for inquiries. Help Malapascua is accepting relief goods and food packs to be distributed to affected communities in Malapascua Island. Drop off point is 35-B Amon Court, Salinas Drive, Lahug Cebu City. Contact Contact (0932)631-3864, (0916)561-4309, (0928)555-5443 and look for Prima for more details. Da Big Hearts is accepting donations at PBCom at Bakilid 2 (Marfa), Mandaue City, along the National Highway to bring to victims of typhoon Yolanda at the northern towns of Cebu (Bogo, Daan Bantayan, Medellin) and Bantayan Island. For further inquiries, call or text Geroselle Villaver (09173010667 / 09225975251) or Gerome Villaver (09235212757 / 09062269779). Cebu Pacific is sending a 2000-ton capacity cargo vessel to Tacloban on November 13, 12pm. Relief goods, emergency vehicles, generators, and equipment not more than 15 tons in weight can be sent to all Cebu Pacific yellow stations in Cebu.For individuals contact Ruth Pellerin at (032)316-4612 or (0933)221-7028 and for major civic organizations contact Jessica Aguila at (0917)311-3780 for more details. Bundles of Joy, at Pedro Calomarde St. cor Acacia St., Gorordo Avenue, Lahug, Cebu City (across Gateway Motors) is consolidating the support to various relief operations across Northern Cebu, Leyte and Ormoc with links to LGUs on the ground operations to distribute the relief goods in Malapascua, Camotes and Bantayan Islands, Tacloban, and Ormoc. Email Joy Anya Lim at anya.lim@anthillfabricgallery.com and Esperanza Garcia at egarcia.ecohope@gmail.com for inquiries. Please see poster for our Bundle of Joy List, target areas, target qty of bundles, dates of distribution and designated deployment channels. #BuligayVisayas, SkyscraperCity (SSC) Bacolod in partnership with Top Health Medical Clinics are accepting donations in cash and kind at Top Health Medical Clinics, Ground Floor Southwing, SM City Bacolod, Bishop Fortich Street (Rizal Street), Bacolod Reclamation Area, Bacolod City. Contact09218521251 for Negros-based donors and 09274857334 for Manila-based donors. The Dream Project Philippines is accepting donations at NOMPAC Building, Aguinaldo St., Bacolod City. For inquiries, contact Prim Paypon at 09088100424. Metrobank Savings Account Olivia Albao and/or Rollie Albao #0023002365112. Bacolod Chamber Volunteer Fire Brigade, all chamber fire stations in Bacolod City. Call (034) 435-5555 OR (034) 433-1777 for more details. Iloilo Relief Operation by the Michelle "Jingle" J. Sumulong Foundation is ongoing in Manila and Iloilo. For Manila donations are being accepted at #75 Galleria Town Homes, 14th Street, New Manila, Quezon City. Contact Mia Sumulong (0927)424-5251 or Toffee Sumulong (0905)371-1461 for more details. Donations from Manila will be sent to Iloilo via Air 21. For Iloilo volunteers and donations are needed at #88 Banker's Village IV, Tabuc Suba, Jaro, Iloilo City. Contact Elsa Kapunan (0917)722-2678 for more details. West Visayas State University at Roxas Hall Lobby, West Visayas State University, La Paz Street, Iloilo is accepting donations in kind from November 11 to 13. Cash donations will be immediately converted to goods. Contact Faye Travilla at (0998)550-0212 for inquiries. ONE Rescue-EMS, a group of emergency medical personnel, will be sending a team to assist in the disaster relief in Leyte. Drop off Dry goods (blankets, clothes, medical tents, slippers, towels), non-perishable food, and medicines at 1st floor lobby, Pastoral Center, Cathedral Compound, Dumaguete City. Call (035) 422-9110 or (035) 225-9110 for more details. Eastern Samar Relief, Anthony Chan & Family, is accepting water, non-perishable foods, and medicines at Calbayog EC Marketing Corp, Rosales Blvd, Calbayog City, Samar and will provide the logistics for distribution to affected areas. Contact Anthony Chan at (0917)895-6037 for inquiries. Liceo Ripple of Hope of the Liceo de Cagayan University is accepting cash donations at the R.N. Pelaez Boulevard, Carmen, Cagayan de Oro City from November 11 to 15. Cash collected will then be deposited to ABSCBN's Sagip Kapamilya account. Contact +63 (088) 858 4093 to 95 local 231 or +63 917 716 1613 for more details. Xavier University's The Crusader Publication is calling for donations in cash or in kind at Corrales Ave, Cagayan de Oro City. Drop off point is at the booth outside the old Library in Xavier University or to the following centers. http://on.fb.me/16SB0yU Look for Maria Teresa Vega-Gomez. The Rural Missionaries of the Philippines-Northern Mindanao Sub-Region (RMP-NMR) Inc. is accepting donations at RMP-NMR Inc, Kalinaw Lanao Center for Interfaith Resources, 0016 Bougainvilla Puti, Villaverde, 9200, Iligan City. For inquiries, call +63 (63) 223 5179. Account Name: Ecosystems Work for Essential Benefits, Inc.
Name: MSH CARE MINDANAO FOUNDATION INC. Volunteers are needed in Davao City to repack goods at the DPWH Depot, Panacan. Call  2271964 or 2278746 for details. Illumedia Outsourcing is acceoting donations at the 3rd Floor of H.I.J. Building, MacArthur Highway, Matina, Davao City. Call +63 82 2956711 or +639228787754 for inquiries. Oplan Tabang Bagyo by the Archdiocese of Davao is accepting relief goods and cash and check donations. Central operations are in GSIS Matina Gym (beside Ascencion of our Lord Parish), Matina, Davao City, and in all Davao parishes; Cash and check to Finance Office, Office of the Archbishop's Residence, 247 F. Torres Street, Davao City or deposited to BDO CM Recto Branch, Account Name: Roman Catholic Bishop of Davao, Account Number: 2700245918. Contact Rev. Fr. Leonardo A. Dublan, Jr. at (082) 285-3643 or 296-2052 for inquiries. Quick Hand Mktg. & Monitor Today Publication at Motoomull St., Barangay 22-A, Gingoog City, Misamis Oriental is accepting relief goods in cash or kind. Monetary donations can be deposited through paypal: drahcir402005@yahoo.com. Contact Francis Mark M. Arango at (0926)856-8584 for inquiries. Batman Son of Superman Arrested? !